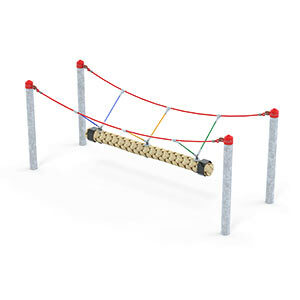 ”High, higher, highest” – a fighter pilot will race across the sky, a seaman will rock on a raft, and a longjumper will tie the world record by several meters. 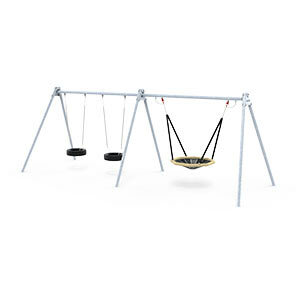 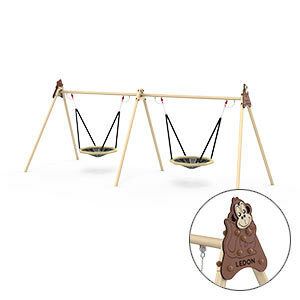 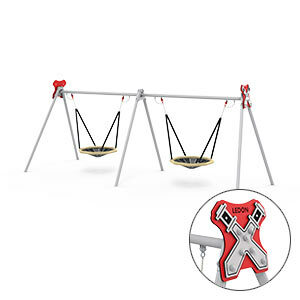 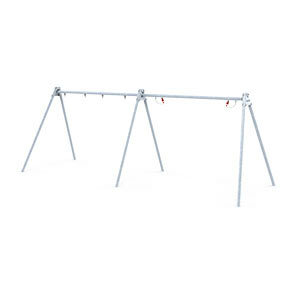 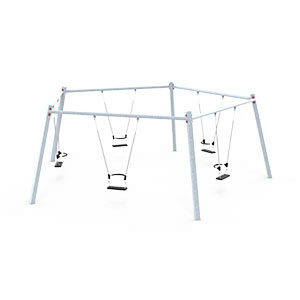 Swings can give both thrilling flying experiences and soft rocking movement. 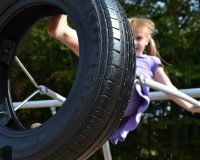 Good motor activity habits are founded in our childhood. 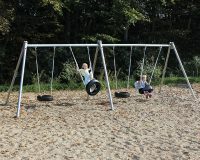 Every time children use a swing, their bony labyrinth will be stimulated, a small sensory apparatus in their inner ear. The bony labyrinth incessantly sends signals to the brain regarding the head’s position in relation to the body and gravity. 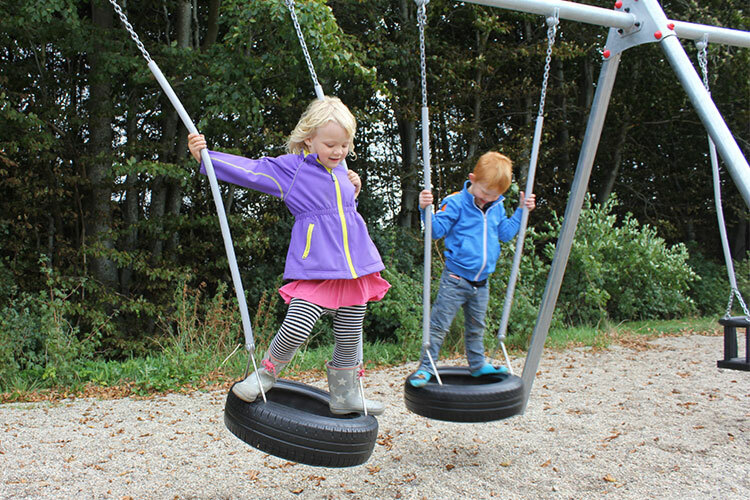 Apart from developing the child’s equilibrium, concentration and learning skills, this kind of motor play also is of importance for the child’s mental and social competence. 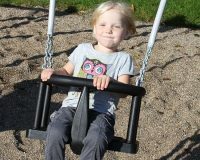 A child that finds it hard to keep the balance might avoid that kind of motor challenge and thereby isolate itself socially. 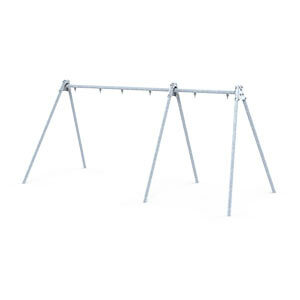 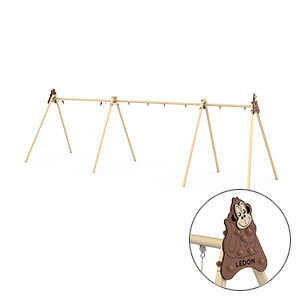 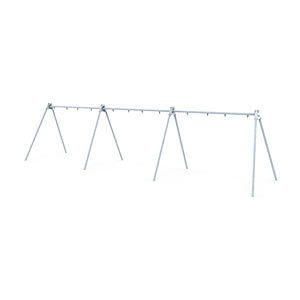 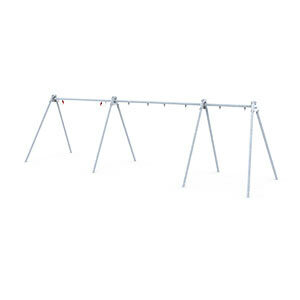 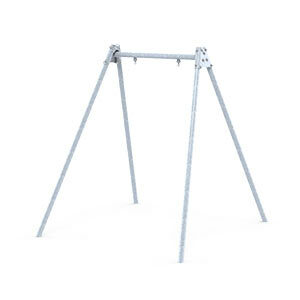 Our durable and maintenance-free swing frames are made of either FSC certified wooden posts or galvanized steel posts. 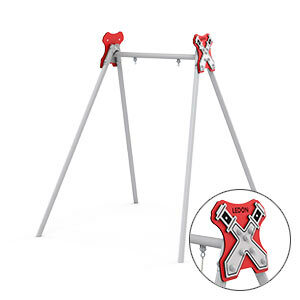 The frames can be equipped with e.g. 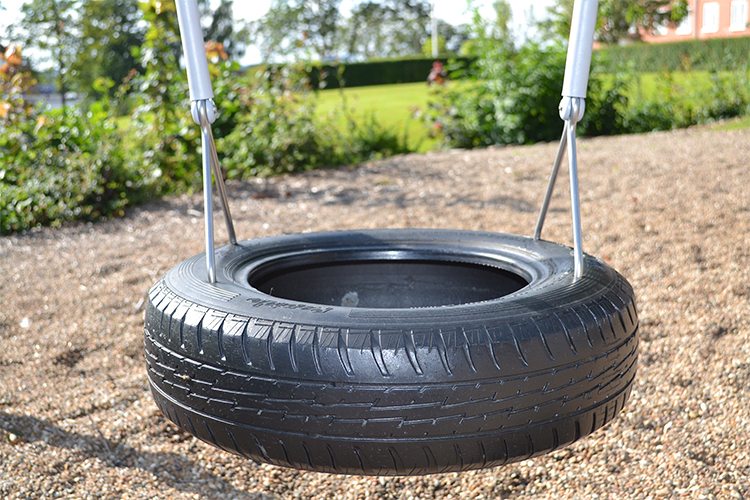 a tyre seat, bird’s nest or safety seat, and the chains are covered with plastic hose, to avoid small fingers freezing to them. 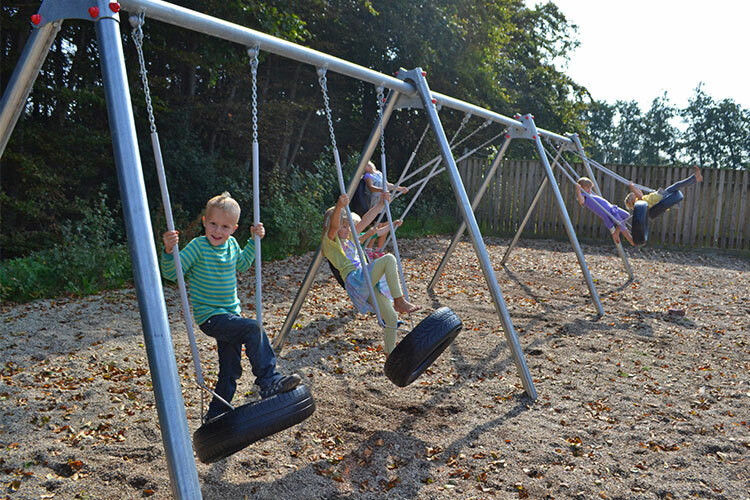 Why are swings important for a playground? 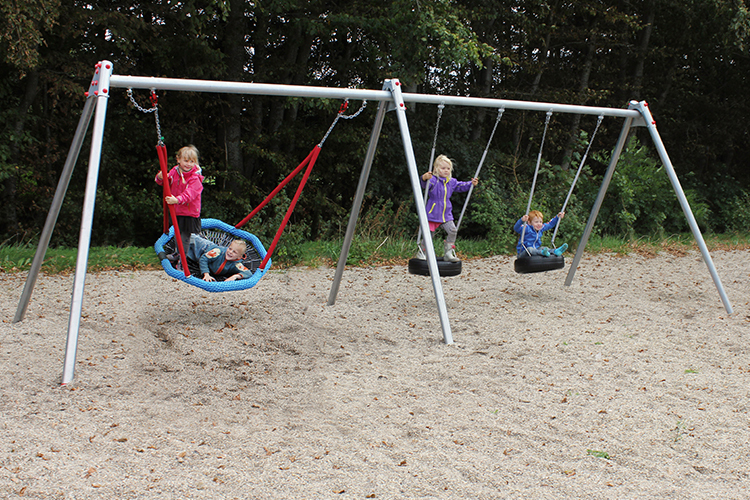 Swings are an all-time favourite on any playground. 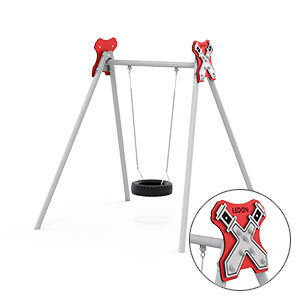 Even before children take their own first steps, they enjoy a nice swing. 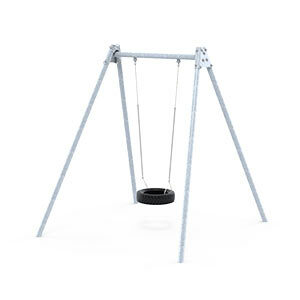 But swinging is not only for fun. 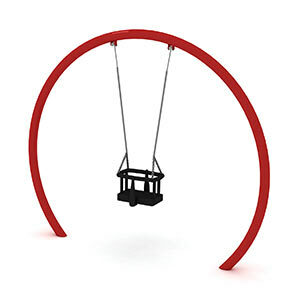 Swinging stimulates the children’s bony labyrinths, which strengthens their motor and balance skills. 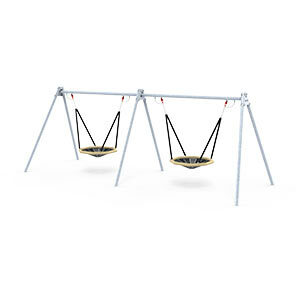 These are very important for the children’s future development. 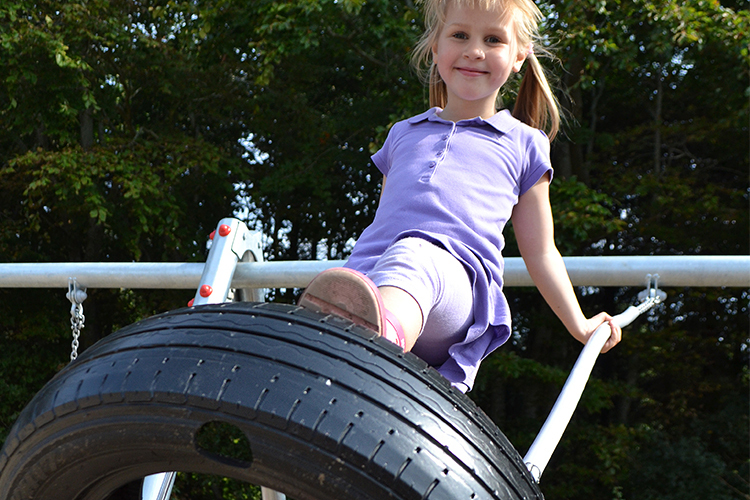 Good balance and motor skills are conditional for learning to walk, run, bicycle etc. 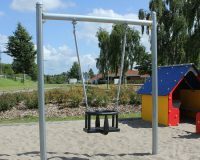 But it is also crucial to feel safe and be confident in other contexts – e. g. social ones: playing, romping around and later maybe in competitive games. 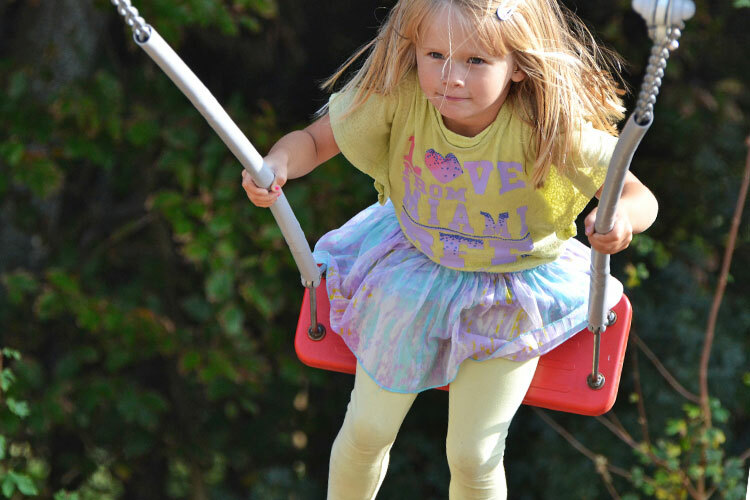 Children that don’t feel confident with their bodies are often cautious and don’t trust themselves. 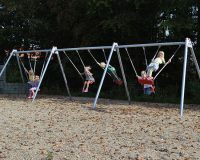 This can be of consequence for their social integration, and their self-esteem can be weakened. 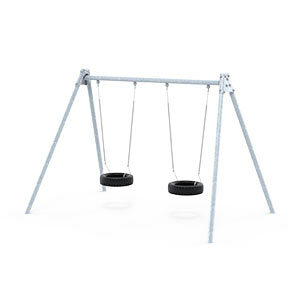 How exactly does swinging with a tyre or bird’s nest swing seat support child development? 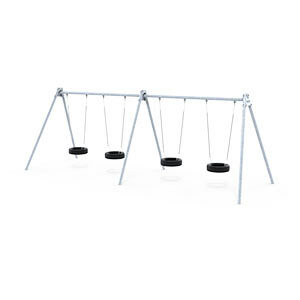 Especially tyre swings and/or bird’s nest swings are a fantastic play item for promoting communication and cooperation. 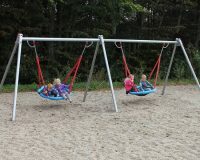 The children have to cooperate and coordinate their movements in order to get the swing going. 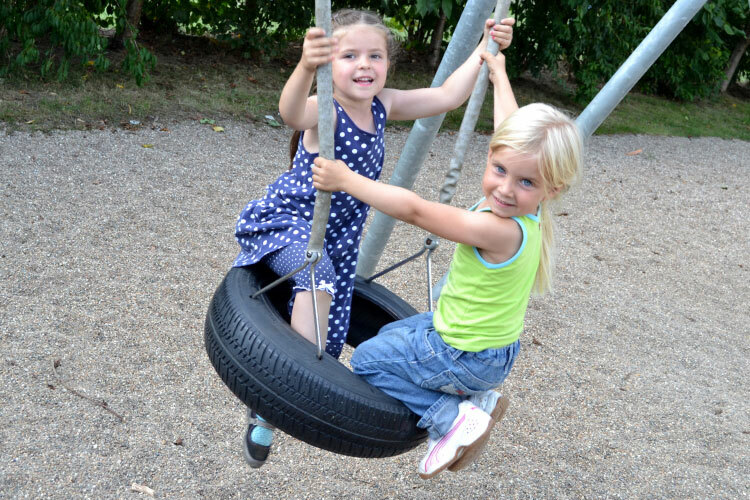 At the same time, children will of course talk to each other, have a good time and make new friends. 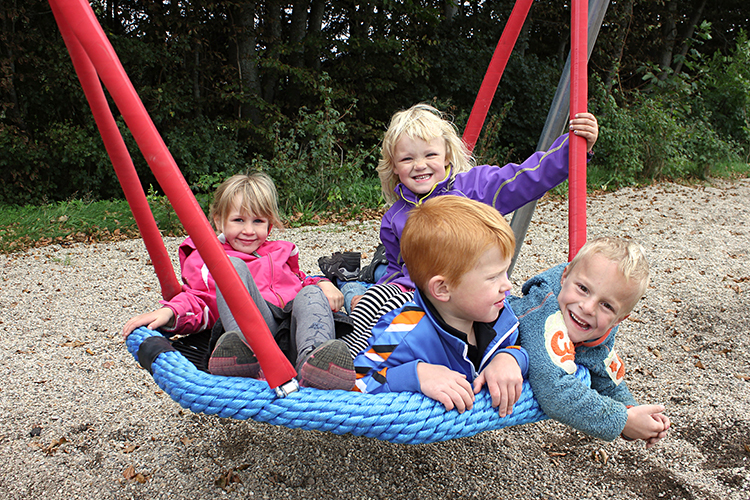 A bird’s nest is especially popular with older children, since they can just hang out on it together with their friends. 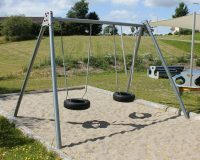 You will observe pretty frequently that a bird’s nest doesn’t serve as a swing, but as a meeting point for the neighbourhood’s older children. 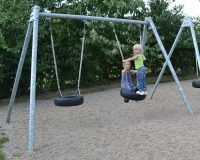 The older children get, the more they are conscious about social rules. 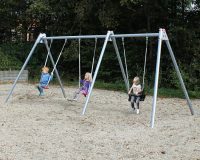 Which is why keeping the swing going no longer is the main purpose with sitting in the nest – it is just as much about creating a social community. 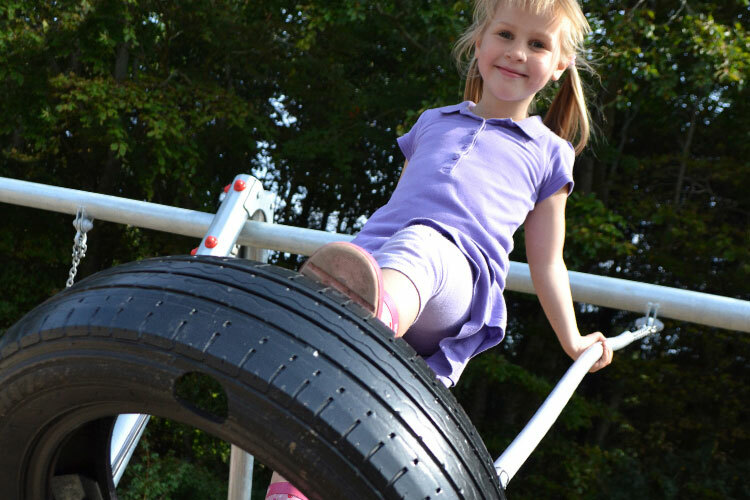 The bird’s nest was originally meant to stimulate young children’s bony labyrinth, and this is still a very important purpose. 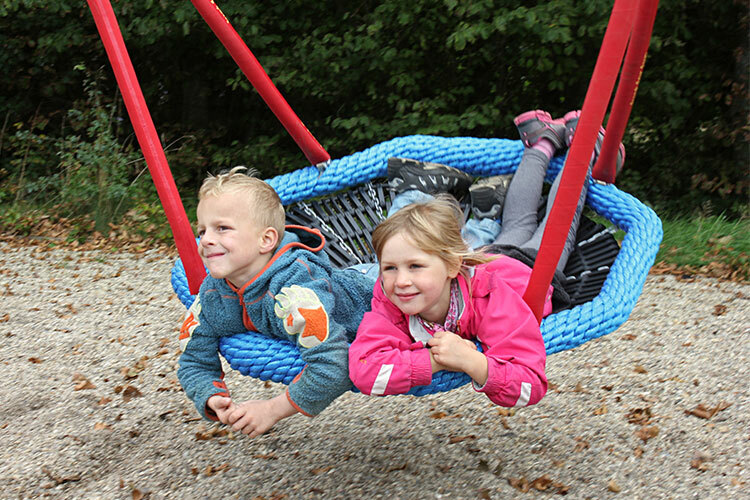 A child can either sit or lie in the nest – alone or together with an adult. 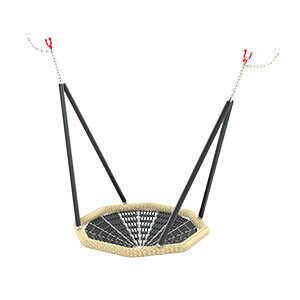 What is special about swing seats and frames from LEDON? 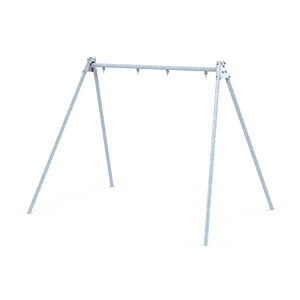 You could think swing frames are all more or less the same, and in a way, that is absolutely correct: They all cover a certain demand. 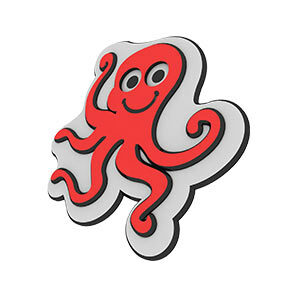 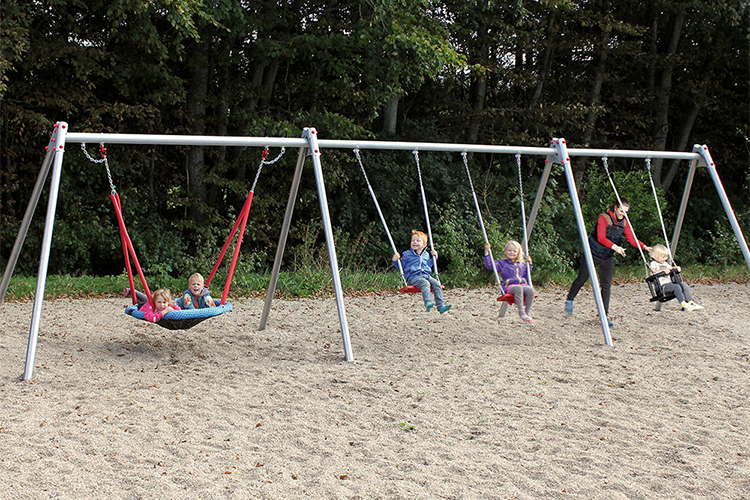 LEDON has developed and designed playground items for the Danish market for more than 45 years. 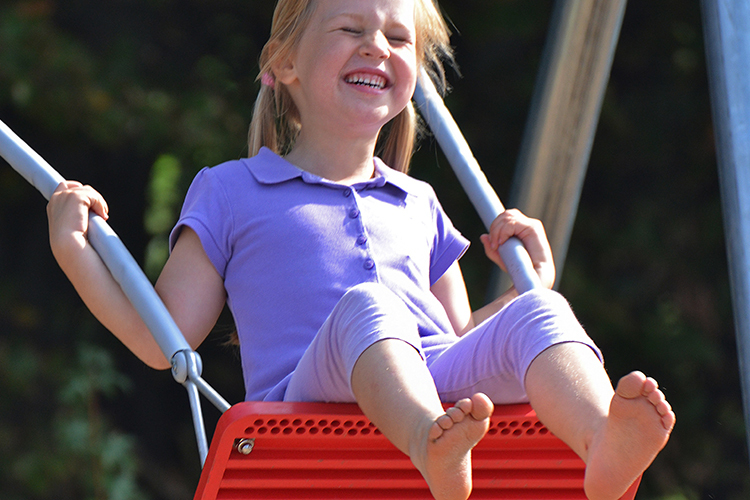 Through these years, we have acquired a lot of know-how regarding children’s ways of playing. 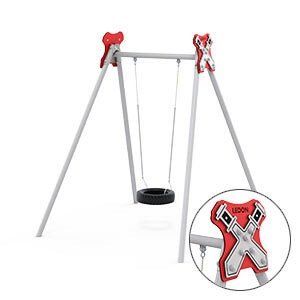 For us, swinging is much more than just rocking back and forth. 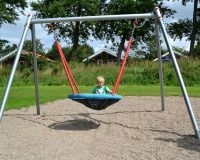 For us it is important to design and produce swing frames that will last for many years, while being fun for the children every day. 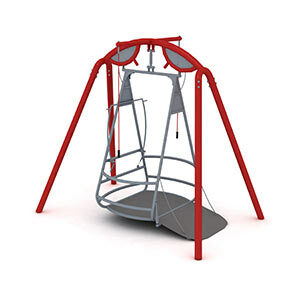 Which is why we make a point of implementing new ideas, high quality materials and top safety when developing new swing frames. 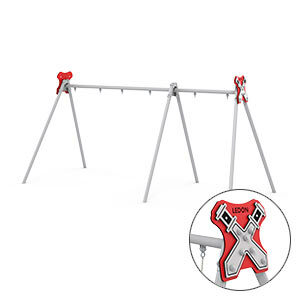 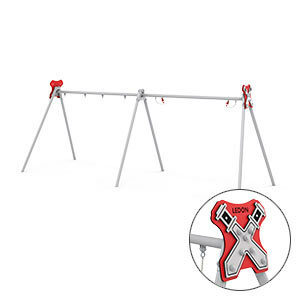 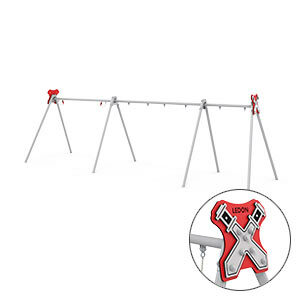 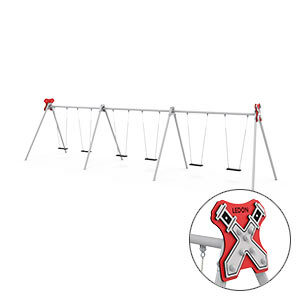 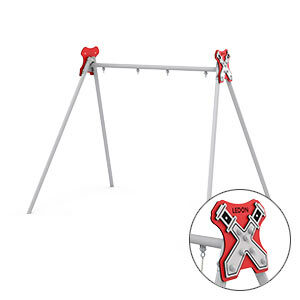 When planning to purchase a new swing frame, you’d better check out some things first. 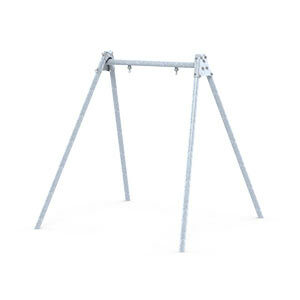 If the swing frame is meant to be put a public place, it has to be in accordance with the European standard EN1176. 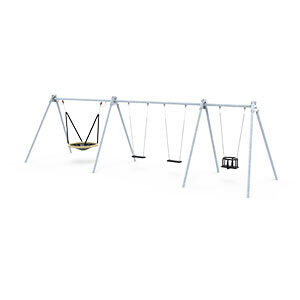 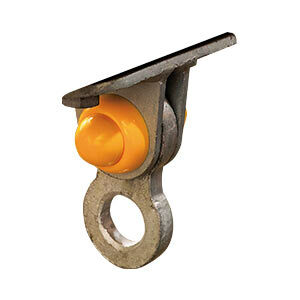 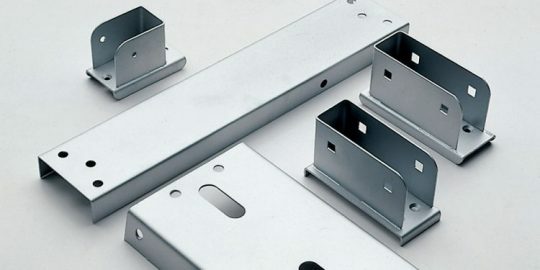 All LEDON’s swing frames and swings are checked and certified by TÜV. 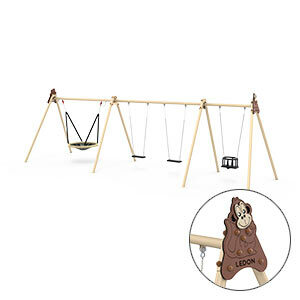 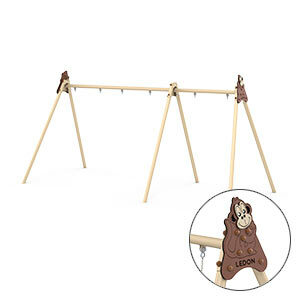 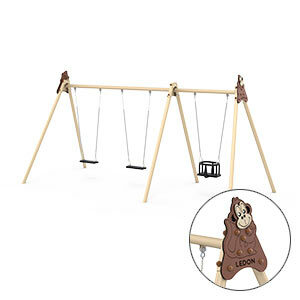 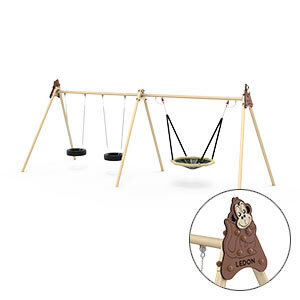 The material used for a swing frame ought to be strong – see the next paragraph about wooden and metal frames. 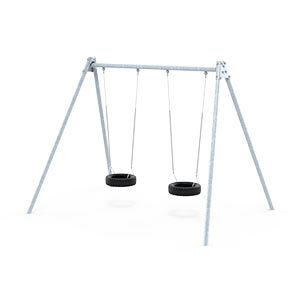 Which swing seat to choose? 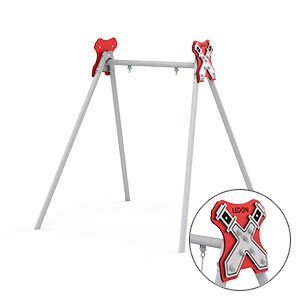 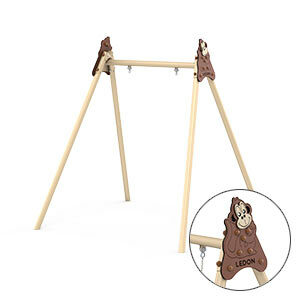 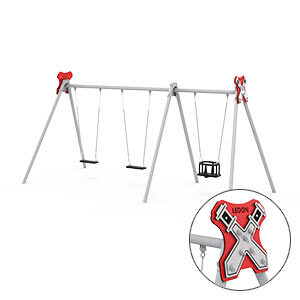 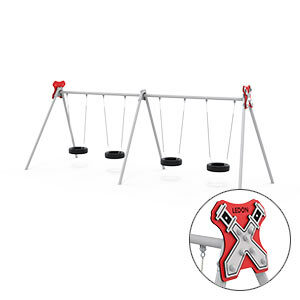 LEDON’s swing frames can be equipped with different types of swing seats. 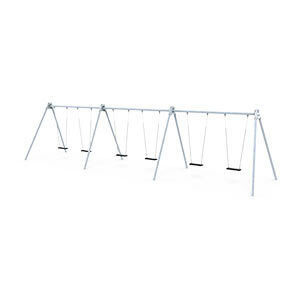 Find descriptions below. 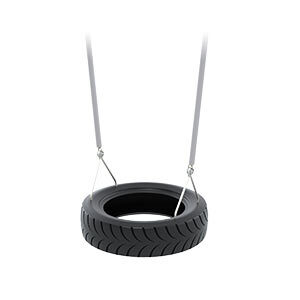 A tyre swing seat is one of the most popular swing seats. It covers a broad age group from 2 to 16 years. 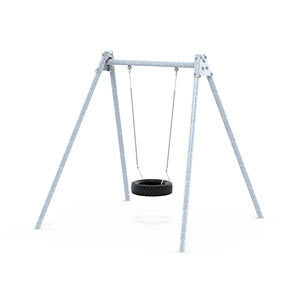 Our tyre swing seat is coated with an environment-friendly rubber lacquer that can take the summer heat. 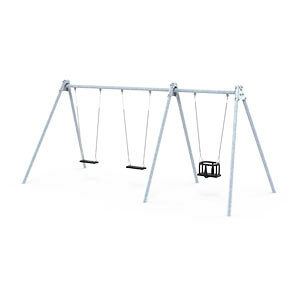 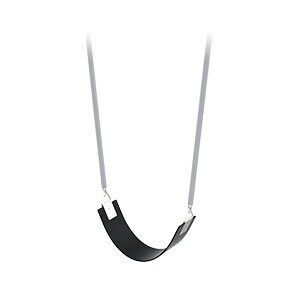 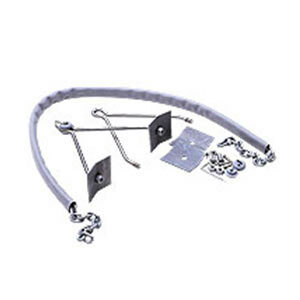 The swing is equipped with stainless steel brackets and hot-dipped chains. 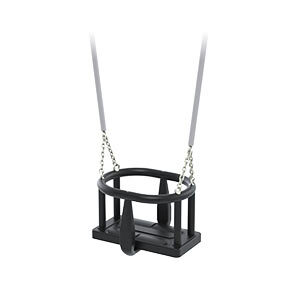 The chains are also covered with a plastic hose, which makes them easier to hold on to. 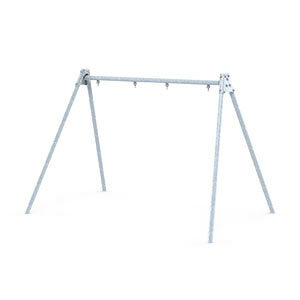 Plus, small fingers won’t freeze to them in wintertime. 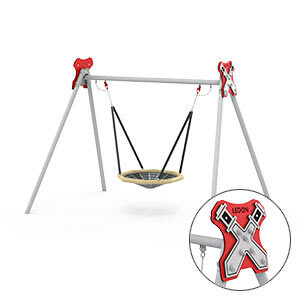 Our safety seat has got a thick rubber surface to avoid the child from slipping when swinging wildly. The safety seat can be used by children from 3 years. 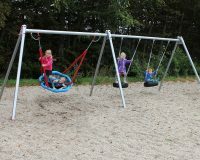 They sit by themselves and get themselves going. 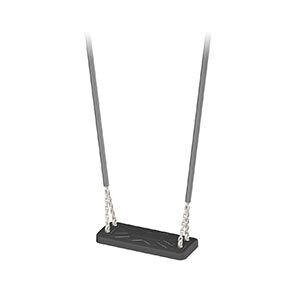 The rubber surface does not heat up in the summer sun. 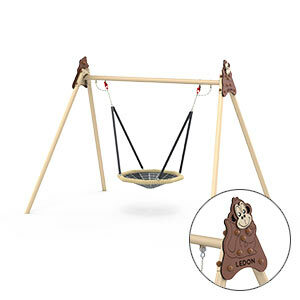 The bird’s nest is really a sensory swing and an all-time favourite. 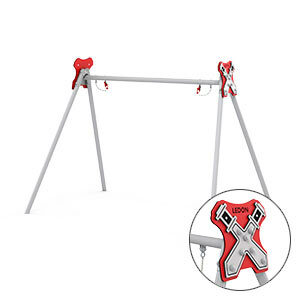 It strengthens the child’s motor development. 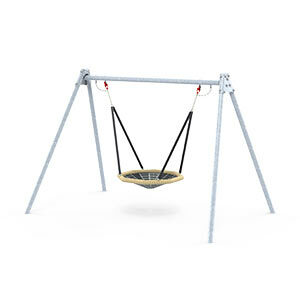 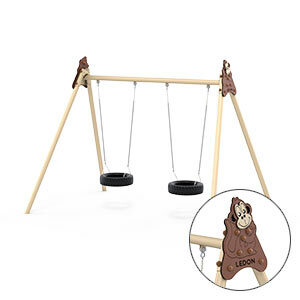 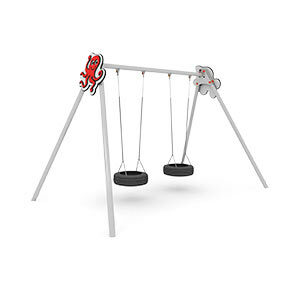 This swing seat is very good for the stimulation of the balance sense, concentration skills and learning aptitude. 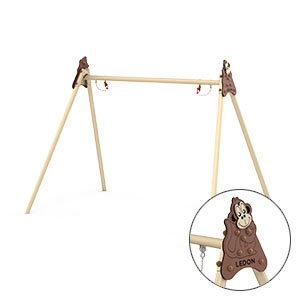 As mentioned before, a bird’s nest is a social play item, too. 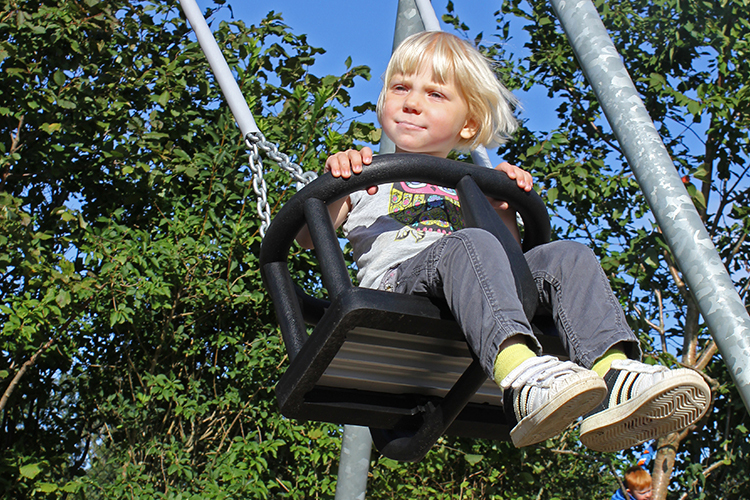 Several children can use the swing at the same time – and work on their social skills. 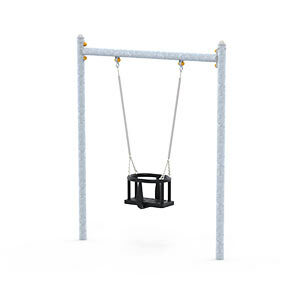 There are quite a few swings of this kind on the market these days, so you better make sure that your bird’s nest/sensory swing is tested and certified in accordance with EN1176. A baby swing seat is essential for the early child development. 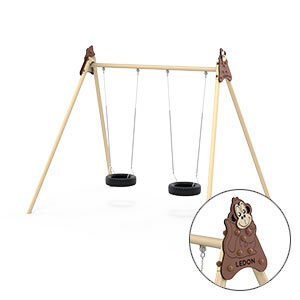 Babies just love being rocked! 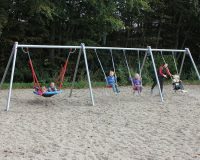 Rocking and swinging strengthens their bony labyrinth, which again stimulates their balance and learning aptitude. 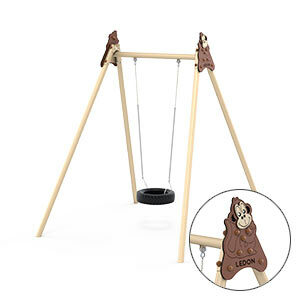 LEDON’s outdoor baby swing seat is comfortable to sit in and contributes to a sound swing ride. 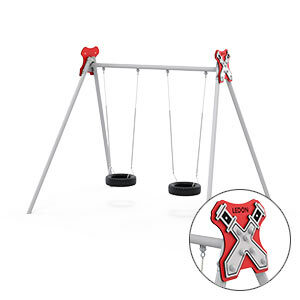 The seat’s balance point is rather high, thus avoiding the seat to tilt whenever the child rocks back and forth in it. There are numerous baby swing seats on the market – but not all of them comply with EN1176. We recommend you check this out before you decide to purchase. 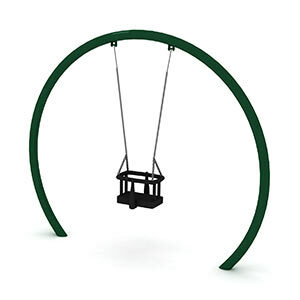 Most baby swing seats are made of slick plastic, making it difficult for the child to relax during the swing ride.